Last Wednesday, Daniel Ortega, the President of Nicaragua, and his Frente Sandinista de Liberación Nacional (FSLN or Sandinista) party, sent a proposal to the national assembly to reform the constitution. The proposal is to go before a seven-person Constitutional Commission, which has 60-days to determine the viability and legality of the proposal, before it returns to the legislature for final deliberations. Ortega is seeking reform of 39 articles in the constitution, the most significant of which would abolish presidential term limits; alter the election of the president; and increase presidential power. Specifically, the proposal would change article 147, and remove the prohibition on consecutive presidential terms and the current, two-term limit. The reform would also award presidential decrees the status of legislation (article 150), and allow the appointment of military officers to the cabinet. The other major change includes the abolition of the current 35 per cent minimum electoral threshold for candidates in presidential elections, which would be replaced with a requirement for a simple 5 per cent lead over the next nearest rival. Daniel Ortega, previously President of Nicaragua from 1985 to 1990 and a former member of the revolutionary Junta Provisional de Reconstucción Ncaional that overthrew the Somaza dictatorship in 1979, re-gained office in 2006 and in 2009, sought to alter the constitution to allow him run for a third term. At the time, Ortega and the Sandinistas lacked the necessary 60 per cent majority in the Assembly, and so were forced to turn to the Supreme Court, which overturned the constitutional ban on consecutive re-election, thereby enabling him to return to power in 2011. Given that the Sandinistas currently control 63 of the 92 assembly seats, this time around, the requisite majority should not prove a problem. However, as the Supreme Court has already overturned the constitutional ban on consecutive terms, the proposed reform has largely been interpreted as an attempt to bolster legitimacy for Ortega’s re-election. Opponents of Ortega have also alleged that the reforms will provide undue leverage in national politics for groups, such as the Catholic Church and domestic business, whom the Sandinistas now court. Of course, in Latin America, Ortega is not alone in his desire to reform his country’s constitution. Initially, most Latin American constitutions, to avoid the perils of presidentialism, limited presidents to one term in office. Beginning with Carlos Menem in 1993 however, Latin American presidents have sought to alter their constitutions with alarming frequency in order to allow for their re-election and to increase their presidential power. So common has this trend become, that Latin Americanists now speak of the judicialisation or constitutionalisation of politics across the region. Even in the last few years, we have witnessed a swathe of presidents, from Alvaro Uribe in Colombia, Hugo Chávez in Venezuela, Evo Morales in Bolivia and Rafael Correa in Ecuador, alter and re-write their constitutions to allow for multiple presidential terms. See for example, Sieder, Rachel, Line Schjolden, and Alan Angell (eds.). 2005. 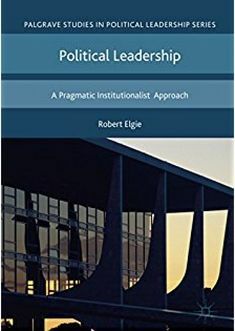 The Judicialization of Politics in Latin America, Palgrave MacMillan. This entry was posted in Latin America, Nicaragua and tagged Constitutional Reform, Daniel Ortega, Nicaragua, Term Limits on November 15, 2013 by David Doyle.